Everyone knows how complicated divorce can get. You probably think of endless paperwork, multiple court appearances, and a laundry list of other hoops to jump through. 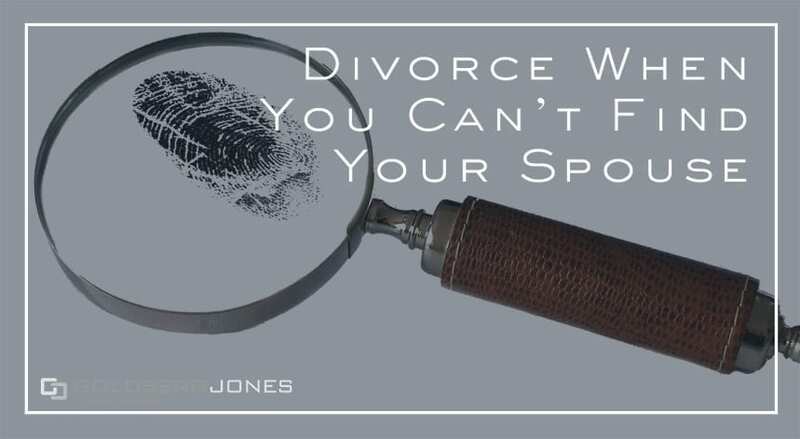 But what if you can’t find your spouse? How does that muddy the waters? What options do you have? The good news is, you do have alternative routes to divorce. The bad news is, you have to put in serious legwork. Our founding partner, Rick Jones, makes regular appearances on the Danny Bonaduce and Sarah Morning Show, where he answers family law questions from listeners. One recent caller wants to divorce her husband. The problem is, she has no idea where he is, how to find him, or what to do in this situation. If you have questions about your case or need to speak to a divorce lawyer, contact Goldberg Jones. Our San Diego office is here to help. Related Reading: I Work, She Doesn’t: Do I Have to Pay Her Legal Fees?